Later this month Hannah Peel will release a collection of remixes of tracks from her 2017 album Mary Casio: Journey To Cassiopeia. The original album was made up of seven pieces which were composed to be played on analogue synthesisers with a full, traditional 29-piece colliery brass band. The record's concept was rooted around "one person's journey to outer space, by recounting the story of an unknown, elderly, pioneering, electronic musical stargazer and her lifelong dream to leave her terraced home in the mining town of Barnsley, South Yorkshire, to see Cassiopeia for herself". For the remix collection, Peel has enlisted the talents of Erland Cooper, Hinako Omori and, as can be heard above, Italian producer Marta Salogni, amongst others, to deliver their interpretations of a track each from the album. Salogni turns in an expansive remix of 'Particle C3' which retains much of the original's brass and synth elements. All of the remixers were handpicked by Peel herself who set out on a personal journey to cover various producers, musicians and audio engineers from small independent labels. My Own Pleasure will release Particles In Space, the remix album, digitally on June 29. 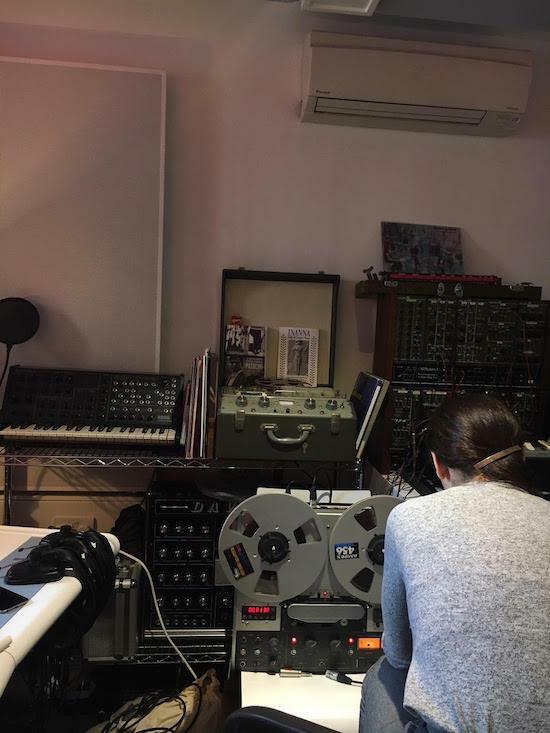 Below, you can see Salogni working on the remix with a reel to reel.